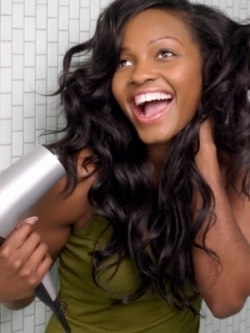 Naija hair can grow Salon day out! Hi people. Just a quick announcement. 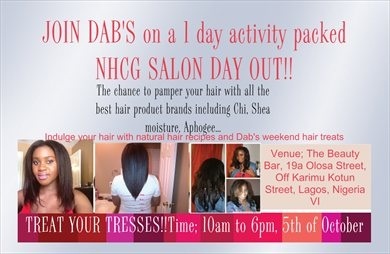 Dabs from Naijahaircangrow blog is having a salon day out event! I’m sure it’s going to be wonderful: I really admire her hair and wish I could be there but unfortunately, I can’t be there. 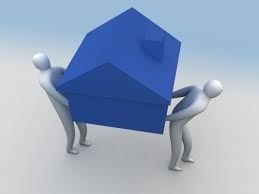 I’m typing this post on my husband’s phone as we haven’t yet set up our home Internet. Pls see the poster below for details and keep this 5th of October open!! France is my new home! I’m so sorry I’ve been really infrequent in publishing posts: I’ve been in the middle of relocating with my family to France. Now settling down. Will get back to posting soon I promise! I have a hair feature story coming up soonest. Hugs! Hair questions on air drying and a little more.